Hoping to obtain the Batcave's bat-diamond, Marsha searches for a new potion to use on the Caped Crusaders. Batman and Robin do some searching of their own and arrive at the criminal's hideout. 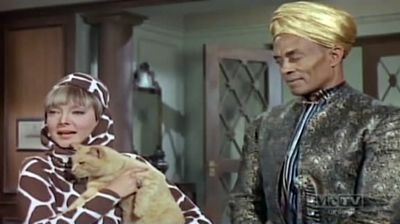 But after Marsha douses them with her concoctions, the villainess seems to have a unique bargaining chip - two tiny caped toads - with which to gain Commissioner Gordon's help in locating the Batcave.